Written by Cameron Jarrell on April 5, 2017 . Posted in Blog, Updates. There’s mapping and there’s Mapline mapping. The difference? Performance! We believe that with better mapping performance comes better results and faster analysis. So we are proud to announce that for the new roll out, our users will be able to have faster mapping experience. Try it out now and speed up your data analysis! Another equally important roll out is the enhancement in map sharing option. 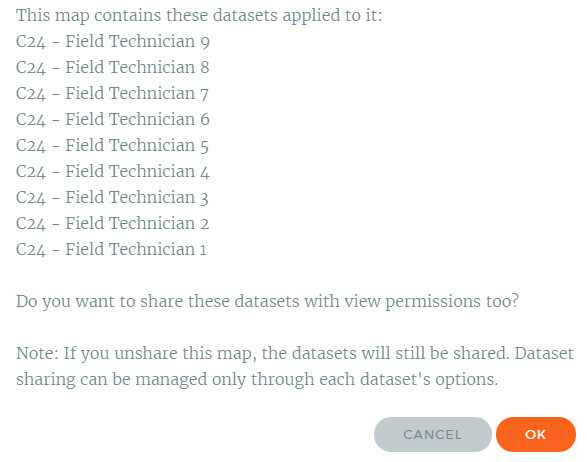 Third, a shared map can only be duplicated when it is shared to someone with edit permission. In the 2nd quarter of 2017, with Mapline giving you the best mapping experience and the best value for money, don’t be just mapping ready. Be Mapline ready! Written by Cameron Jarrell on February 8, 2017 . Posted in Blog, Updates. This new addition reveals where locations are clustered. Many users have been asking for this feature because this is especially useful when mapping locations or phenomena that change dramatically over an area. You can now slide the ruler of the columns in any way you want and it will be saved. When maps are shared, those whom the maps have been shared with will also see the saved column widths of the spreadsheet. We’ve made it easier to delete locations from your datasets. Now you don’t need to click the locations one by one to delete them. Just click the rows that you want to delete, click the “Selected rows” on the drop down arrow of “Delete” button and bam! Your locations will be deleted all at once. Mapline can now support decimal and degree coordinates. There are a few bugs that we captured and fixed. We thank you all for your feedback and queries. If not for them, we would not be able to make these updates successful. Let us know if you have more suggestions. We are open to feedback. What else would you like to be simpler to accomplish while mapping with us? Written by Cameron Jarrell on December 2, 2016 . Posted in Blog, Updates. Mapline is already the simplest mapping software on the planet, and now we’re introducing another batch of new features that will surely empower you to make mapping even simpler! Find out about how you can draw a radius circle on a map as well as how to replace a dataset with new spreadsheet data. Areas around pins – this allows you to quickly identify pins that are clustered together. This is the best heat mapping option to use if you want to understand accounts with large numbers of sales or customers. 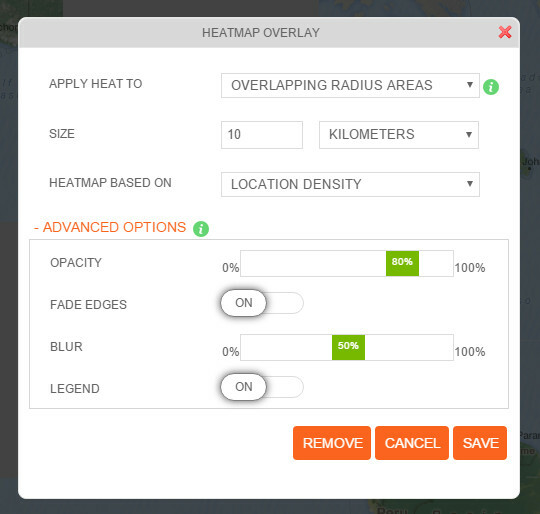 Overlapping radius areas – this new type of heat map option enables you to identify areas with high density. This is highly recommended if you are looking for the right location for a new business, or if you want to know the high risk areas when planning for disaster management and recovery. Find more information about viewing a radius circle on a map as a helpful heat map. 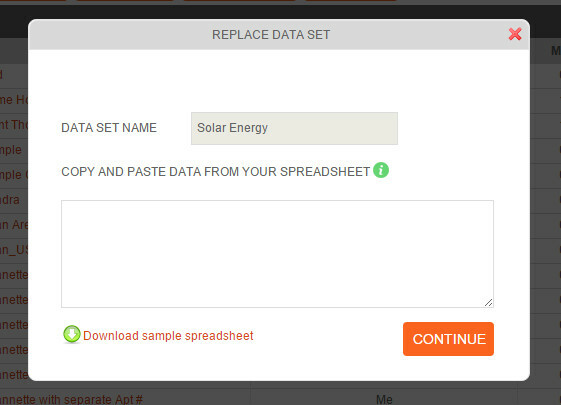 This new feature allows you to remove the dataset and replace it with a new spreadsheet data. This is usually used in situations where you are frequently changing the datasets of your maps. There are 2 ways to replace your dataset. Click the drop down arrow beside the dataset. Click “Replace” tab located on top of the page. Copy your new spreadsheet data and paste it to the box provided. Check the box beside the data set that you want to replace. Now that’s making mapping even simpler! They are now available to use. Go ahead, try them and see where your new mapping experience will take you. Written by Cameron Jarrell on November 8, 2016 . Posted in Blog, Updates. So you want to map territories in a foreign country. Using a mapping software, you were so excited to start creating one. In minutes, you have your map ready – only to find out that you can’t understand the names of the territory boundaries because what’s showing is the local names and characters instead of the English names. How frustrating! Mapline is excited to announce a new enhancement that will make mapping more convenient and at the same time giving you less headache when it comes to reading territory names. We now bring you a feature where you can choose how to view your map – with Multilingual names or with English names! The new feature will enhance not only the readability of your map. More than that, it will help speed up map analysis and data understanding. Try using the new feature now!